Roger was born in Watsonville in 1937 and started his career at 15 as a grocery store clerk. He worked his way to the top and managed grocery stores in the Watsonville/Salinas area and San Jose (1952 - 1985). Roger then became a Farmers insurance agent (1983 - 2003) after which he retired. Roger started square dancing in 1961 and began calling in 1963. He called for the Mission Mixers in Hollister (1963 - 1974) the Castaways in Watsonville (1964 - 1975), and the Golden Eagles (1975 - 1981). He didn't call again for many years. Roger started square dancing again after his divorce in 1995. (Roger has 3 children, 3 stepchildren, 10 grandchildren, and 12 great grandchildren.) In 2000 Single Squares of Sunnyvale (Sunnyvale Singles) hired Roger to teach their class, and Roger started calling newer dancer hoedowns with Harold Fleeman as well as the Sunnyvale Singles Spring Fling hoe-down with Jake Shimata. In 2004 Roger became the caller for The Jokers in Campbell, which has combined with the Rafter Rockers to become the Rockin' Jokers. Roger met Josie Baumgartner, his partner from 2000 to 2010, at Sunnyvale Singles. Josie and Roger were active in promoting square dancing by giving demonstrations for local schools, senior groups & other events. They traveled to festivals in Bakersfield, Kings City, Tulare, and Yuba City. Roger has called at State conventions in California and Hawaii; USA West conventions in Idaho, Utah and Oregon; National conventions in Anaheim, Portland, Seattle and Long Beach. Roger also calls for many YMCA family events, Girls scouts and private dance parties. After Roger retired, he and Josie started a program with the San Jose Unified School District to train teachers to teach square dancing in schools and to have students dance as part of the school's curriculum. Between 2005 – 2009 Roger called in 54 schools, trained 93 teachers, and introduced 5200 children to square dancing. Roger and Josie continued to give the teachers ongoing classroom support, and some of the teachers became square dancers. 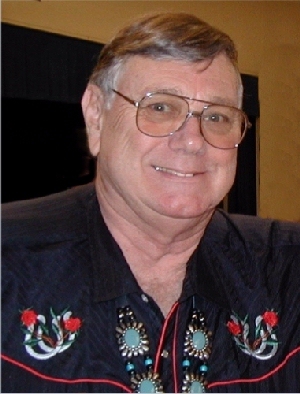 Roger has been the caller for the Rockin' Jokers Square Dance Club since 2005 and taught several of the CPSD (Committee to Promote Square Dancing) classes from 2006 to 2011. The Santa Clara Valley Square Dancers Association (SCVSDA) has voted Roger one of the top ten callers for the past 10 years. Josie Baumgarnter died of a heart attack in the summer of 2010, and Roger is now dancing with one of Josie's best friends Pat Angotti.